Written by Lothar Mueller, Graduated Criminologist, MBA, published at Richard Boorberg Verlag, Stuttgart 2010, 104 pages. In this volume, Prof. Dr. Sven Max Litzcke and Dr. Helmut Müller-Enbergs (editors) are discussing the various aspects of Security in Organisations. For this project they won scientists and practitioners of different professions. Lothar Müller is author of chapter 11 „Wirtschaftskriminalität und Persönlichkeit“ („Economy crime and Character of Personality“). For print version please contact Lothar Müller. PI is uncommon in Germany. Here the preferred word of reference is “Detective.” Throughout Germany, you basically distinguish between Security Services and Investigative Services. 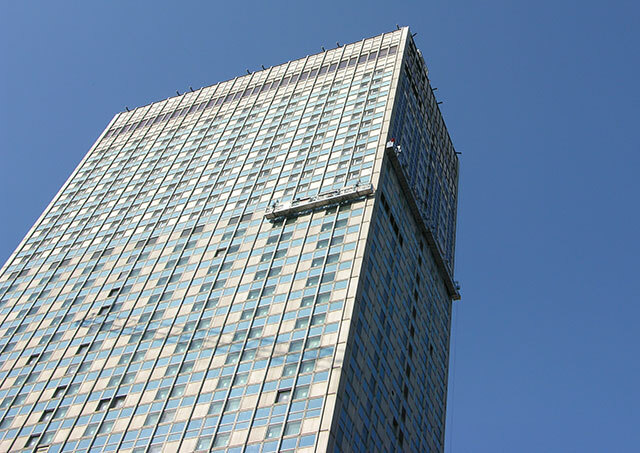 There are different business and corporate regulations for both areas. In general detectives provide Investigative Services although Security Services personnel working for Department Stores are also called house detectives. For Investigative Services there are no special work permits or licensing practices within the country. What is required is registration with a District Commerce or Trade Board involving a fee of anywhere from $50.00 to $200.00. There are only two conditions. You have to be older than 18-years and without a criminal record. With that registration you do not earn any additional or special rights.The Detektive can only refer to the so called “General rights for Everybody.” (Jedermannsrechte) He therefore cannot enforce executive power, has no rights to intervene, to access special public service data bases e.g. There is also no special training required by law eitherDemands by professional associations to establish formal and legally required training have been neglected so far by the government and law makers. But to do the job demands professionalism. Many detectives here are former police or secret service agents. That isn’t to say newcomers from non-related occupations can’t be successful as a detective. Detectives can receive professional training provided by several private training centers. They issue certificates, which are however not recognized by state or federal government Also a word of caution is required here: Not all of them provide the appropriate level of qualified training. As a detective you can hang your own shingles opening a business, or work as an employee. The later might be difficult to achieve, since most detectives work alone, in some cases supported by familiy members. According to Association of German Detectives or Bundesverband Deutscher Detektive (BDD) there are about 3000 working PIs. Some 25% are members of professional associations. This includes house detectives that work exclusively for department stores. Here the law steps in. Laws regulating arrest and individual rights govern house detectives. German-wide informal discussions debate whether this group really can be considered detectives or not. The current regulations seem problematic from the point of the authors. Individuals have access to the job without having to prove their professional qualification and aptitude. Professionals don’t want their job reputation damaged through “wanna be” (want-to-be) detectives who are just seeking a 007 adventure. There are some issues to be considered. There is a world of difference for the man or woman who must be able to rely on their training and skills while trust working in a business with competent professionals. So if there seem no job restrictions that would be a misnomer. Addressing these issues are the emerging EU Laws and demands for professional regulations. “ „…In the private security industry, too, there is an ever-rising demand for qualified and competent services. Those concernd increasingly look to their counterparts outside their own countries and outside Europe for solutions. The internatinal exchange of experiences and international co-operation is a necessity to meet the complex requirements of modern investigation activities. Economic and social change also affects the job outline of detectives. The classical image of the general day of a Detective is no longer reality. Today, detectives mostly work for industry, banks and insurances companies. We interpret the Minister’s words as support for the detectives in Germany. Yet, our professional group has to gain more general recognition in society. And this can only be achieved through the competent work of every individual detective whether he or she is a member of a professional association or not. The professional associations bear special responsibility because it is their task to provide their members with the best professional conditions possible. We can only speak for BDD. looks back on a 50-year tradition and is one of the major associations in this field. BD the field which has successfully exercised its influence on the new version of the law concerning data protection. BDD has maintained active contacts at all decisive levels. In the interest of quality management the association wants to maintain the best practice for each of its joining members thus developing high quality standards. Detektives, who are members of BDD consider that as a seal of quality. The annual Continuing Education Seminars, arranged by BDD over a weekend, are open for all members and non-members, providing a sound contribution to the whole professional community. The Initiative for unification is further persued by BDD and as their President Mrs Eveline Wippermann states, “ is well under way to come to an arrangement by the end of this year”. The desire is that all national detectives associations speak up with one strong voice to achieve regulations governing the best working conditions for our profession through the National and European parlamentiary bodies. Some of you might ask about the role of IKD. Yes, there should also be more activity. But let us look back to the situation in Germany. There has been a positive development within the last 5-years and an increase of casework to 6% on the one hand that is due to a growing corporate delinquency (crime/fraud). On the other hand, it is also a result of our increased professional recognition and reporting. And there is an increased demand for security after 9-11. Approximately 70 to 80% of all new case assignments are coming directly from business. Corporate crime is costing the industry between 130 to 150 billion EURO per year in Germany alone. Without detective work the loss is calculated to be 13 to 15 billion higher. Contrary to the still existing cliché that detectives predominantly work on cases of adultery, major casework involves investigation into criminal activities of employees, company theft, computer criminality, patent and license infringements, brand name theft, disclosure of business trade secrets, illicit work as well as finding evidence for court cases. Of course, consequences of divorce, especially child custody cases have become important. PI may be uncommon in Germany but that is name only. Continual scientific research and technical development in almost all fields of knowledge provide new insights and information that mankind can make use of. This means that every individual has to adapt his or her knowledge and skills to the latest results in science and technology to optimally meet the challenges of the time. It goes without saying that there is almost no profession or job throughout the world without permanent need of continuing education to be personally and professionally successful. From this constant comes the realization the detective vocation is not excluded. The questions arise of what is needed and chosen in the profession to be kept scientifically and technologically up to date. Compared to many other European and Non-European States there are no technical conditions for entry and admission as a German Detective. Anyone then can become a detective, if he or she announces it (after registering) while adhering to the professional and industrial regulations. The German Office for Trade and Professions has only to examine the personal reliability of an applicant by a simple certificate of “good conduct” as well as a listing from the central trade registry. No technical evaluation is done. The designation “detective” is also not legally protected in Germany allowing anyone after appropriate registration to call him or herself a detective. With this background information it is easily comprehensible that anyone can come on the market that is completely unsuitable for the detective profession. He or she can substantially damage the professional image. The profession is tarnished by this lack of professional standards. For many other professional branches throughout German Industry continuing education is regulated and a constant professional requirement. Unfortunately, this is not required professionally of German Detectives. This situation is as old as the Federal Republic of Germany. The founding members of the German Federation of Detectives (Bundesverbandes Deutscher Detektive) in 1950 were aware of this and that it represented an intolerable situation if not addressed by the State, must then be by the professional association itself. The Federation officially set about through its membership bodies to guarantee qualified continuing education programmes. 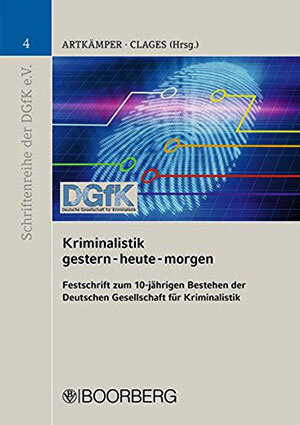 As a consequence the Federation of German Detectives developed measures for continuing education programmes. By June 1957, the educational arm of the Federation was officially announced as the “Lehrinstitut des Verbandes,” The Federation’s Institute of Learning/Continuing Education (translator’s first choice)/Tutoring. Since then the Federation of German Detectives has special annual Continuing Education Seminars for their membership. It is open as well to non-members to participate as guests. The topics of the seminars are suggested from Federation members. This allows the Seminars to address the practical and theoretical knowledge gaps of its members while professionally enabling them to optimally meet the demands of their work. On 15th & 16th November 2003 The Federation of German Detectives has its 46th Continuing Education Seminars in Bad Dürkheim. The Seminar Series again offers interesting and valuable topics for detectives. Germany’s security industry has been able, however, to establish a complete set of regulations with the State, which applied nationally ensures the improved quality of their personnel. The Federation of German Detectives is therefore confident to be likewise successful in the not too distant future. The Federation is continuing to call for its established national entrance regulations to be applied as governmental occupational licensing of detectives as well as to obtain its nationally recognized continuing education programmes. Interested readers may at last ask if there is a vocational training programme in Germany for detectives who without it could not begin as detectives. Naturally, there is detective training in Germany. This topic is yet for a separate article/report titled “Training.” There is only so much that can be covered here. This copy is a translation of a German BDD Article. It is a translation and not written as an informational news copy. 16-Aug-03 Lisa White, iD-interlink Inc.